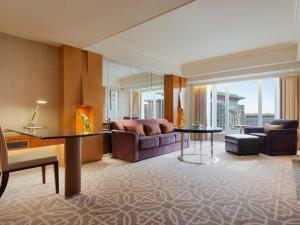 As part of the impressive Oriental Plaza, a popular commercial complex, the gorgeous Grand Hyatt Beijing occupies a prime location at the junction of Chang’an Avenue and the famous Wangfujing Pedestrian Street. 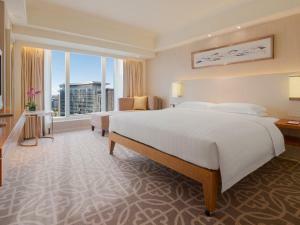 It boasts luxuriously decorated guestrooms, a resort-style indoor pool and gourmet cuisine across 6 stylish dining options. 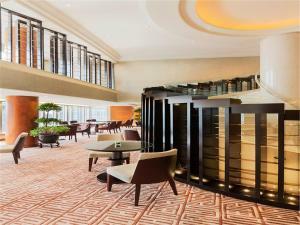 Surrounded by fashion boutiques, souvenir shops and typical local restaurants, Grand Hyatt Beijing is located only a 3-minute walk from the Exit A of Wangfujing Subway Station (Line 1), which provides an easy access to the top attractions. Tian’anmen Square and the Forbidden City are both situated just a subway stop away. 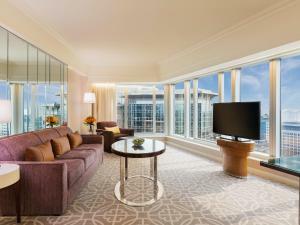 Combining contemporary décor with Oriental tradition elements, each guestroom comes with a flat-screen TV with satellite and cable channels, a minibar with free bottled water, a writing desk with enhanced lighting and a safety deposit box. 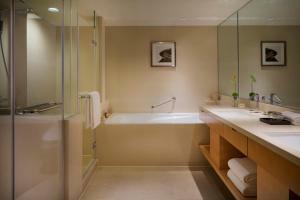 The cosy living area, the down duvets covered in crisp linen and the marble bathroom create an elegant atmosphere. 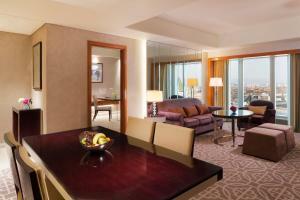 Grand Hyatt offers world-class standards of service. Unwind with a workout in the well-appointed fitness centre, then soothe tired muscles in the sauna rooms is an ideal choice for travellers after a long journey or a busy business day. The business centre offers secretarial services, computer facilities and a meeting room. 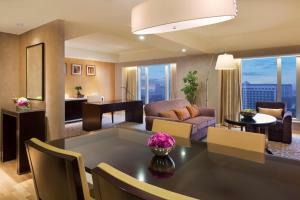 Alternatively, guests can organise day trips at the tour desk, or rent a car to explore the exciting city. 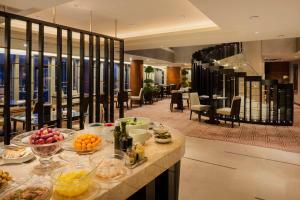 A wide range of local and western delicacies can be tasted from Made in China to Noble Court. The Patisserie is stocked with the finest cakes, pastries and hand-made chocolates as well as freshly baked bread. Additionally, guests can spend a relaxing evening enjoying cocktails and live music at the Fountain Lounge. An extra bed for children under 12 years old is available upon request. 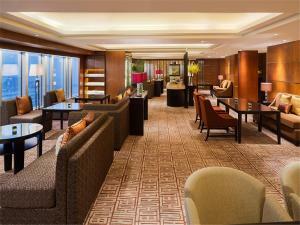 For guests who book the rooms with access to Grand Club Lounge, the free breakfast is served at Grand Club Lounge. Please note that lower room types have cheaper rate for an extra bed. Цена: CNY 1092.50 ... CNY 8410.00; select dates below to get current rates. Цена: CNY 1092.50 ... CNY 8585.00; select dates below to get current rates.